T-ReCS (Thermal-Region Camera Spectrograph) is a mid-infrared imager and long-slit spectrograph built by the University of Florida for Gemini South. 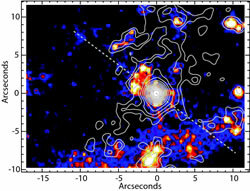 In 2003B, the imaging and low resolution spectroscopic modes of the instrument were commissioned. The commissioning of the medium resolution N-band spectroscopy mode (a.k.a. "Hi-Res" mode) followered in 2004B. These modes are now available for general use. The instrument design is intended to be relatively simple and optimized for low thermal background, high throughput, and excellent image quality to take advantage of the high thermal-infrared performance of the Gemini telescopes. T-ReCS, when combined with Gemini's fast tip/tilt compensating secondary mirror, will yield nearly diffraction-limited 10 µm images under most natural seeing conditions. The Instrument Scientist for T-ReCS is James Radomski. 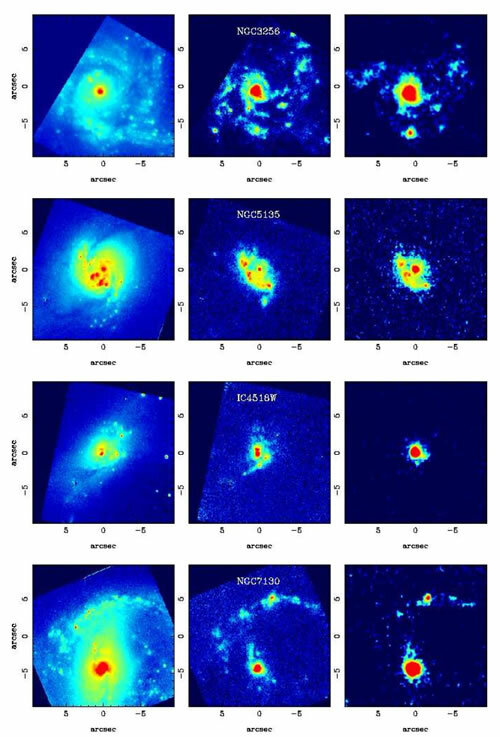 A new document describing the delivered MIR image quality of T-ReCS on Gemini South is now available (Li et al. 2010, submitted to SPIE). See the Status and Availability page for more news. The Gemini instrument pages first give the status of the instrument and its availability in the current and next semesters. The information is then organised initially by instrument mode, followed by technical information necessary for writing a proposal and detailed observation planning, and then content relevant to reducing and interpreting data. Imaging: Components used in imaging mode, and guidance on how best to use the instrument in this mode. Guiding Options:Guiding considerations, and wavefront sensors available for use with T-ReCS. Observation Preparation: How to configure T-ReCS in the Observing Tool. 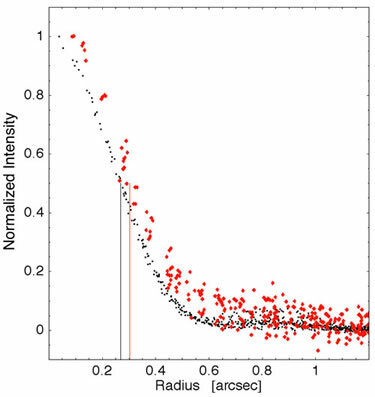 Calibration: How to calibrate T-ReCS observations. Data Format and Reduction: Examples of T-ReCS data and links to data reduction resources. References: T-ReCS design documents; optomechanical diagram. Please see also the Mid-IR Resources section, which contains generic information about observing in the mid-IR, as well as details about calibrations, standard stars etc. that apply to T-ReCS, Michelle and TEXES.